Early in the stage, the day's breakaway was established, with Garmin's Dave Zabriskie, Sky's Geraint Thomas, FDJ's Benoit Vaugrenard, Katusha's Pavel Brutt, QuickStep's Jurgen Van de Walle, AG2R's Christophe Riblon, Bbox Bouygues Telecom's Pierre Rolland, and Stephane Auge and Amael Moinard from Cofidis. The group was allowed about 10 minutes head, then Rabobank and Astana sent enough riders to the front to keep the gap within a few seconds of 10:00. With 80k to ride, the gap was 7:53 and falling, and the road was tilting up toward the beginning of the climb of the Port de Pailheres. Astana clearly had some big plans, and were driving the chase hard. With 70k to race, the gap was down to 6:47. Astana had all 9 riders at the front, with Saxo Bank close behind, and with about 55k to ride, Team Sky sent riders to the front of the field, as well. At 48.5 km/30 miles to ride, the gap was 4:28, and the road was about to turn skyward. The first big mountain stage at the Tour is always revelatory. The early time trials and lower climbs allow classics and TT men to sit at the Tour's grown-up table for a week or more, but those names begin to fall off the leaderboard when the race moves to the mountains. Sunday's Stage 8 ran true to form, and then some. Sky, Saxo Bank, and Astana spent miles at the front, keeping the pace high enough to shed rider after rider, until on the day's final climb, only a dozen riders still had a chance for the stage win, including Cadel Evans, Alberto Contador, Andy Schleck, Ivan Basso, Carlos Sastre, and Levi Leipheimer. With teammate Daniel Navarro taking a pull worthy of Amtrak, Contador looked safisfied to ride to the line with that group. With less than 2k to ride, Roman Kreuziger of Liquigas was the first man to launch, covered quickly by Contador. Just inside the last kilometer, Andy Schleck sprinted away from the group, and only Euskaltel-Euskadi's Samuel Sanchez matched him. Behind, a move from Gesink was covered, but Contador was content to let Sanchez and Schleck sprint it out for the stage win. The sprint, reminiscent of Barredo-Costa in its precision and ferocity, went to Schleck, his first Tour de France stage win. World Champion Cadel Evans takes over the yellow jersey for the first time since 2008, when Evans lost it after being isolated on the climb to Prato Nevoso. Seven-time winner Lance Armstrong suffered a key accident a few kilometers before the day's first big climb, chased back to the field, but was dropped on the Ramaz and lost almost 12 minutes on the day. He's in 39th place, 13:26 back of Evans. If Armstrong's announcement that this will be his last Tour is true, this was the end of his last chance to win the race. Armstrong says he'll stay in the race and work for the team, which is good news for Levi Leipheimer, sitting 8th overall. The team that did most of the damage to Armstrong's chances also badly damaged their own leader's Tour hopes. Sky set a blistering pace on the Ramaz, shedding teammates, and their Bradley Wiggins was dropped on the climb out of Morzine, the day's second big challenge. He would finish at 1:45, and now sits 14th at 2:45 on the overall. Evans becomes the first world champion to wear yellow since Boonen in 2006 and if he could win, would be the first world champion to win the Tour since LeMond in 1990. With some major attacks expected, the peloton rolled out nervous this morning, likely contributing to a crash with just 5 kilometers ridden. VS predictions: Hummer - Contador; Roll - A. Schleck; Sherwen - Armstrong; Liggett - Evans. Caught in the crash were a couple of notable jerseys, the polka-dot King of the Mountains jersey of Jerome Pineau from QuickStep and the world champion's rainbow jersey of Cadel Evans. Pineau rode on, but clearly suffering at the back and off the back of the main field. The race doctor has taken a look at Evans' left elbow. A seven-man break finally got established with around 30k ridden. It included both Minard and Moinard from Cofidis, which will challenge my typing skills, Vaugrenard of FDJ, Moerenhout from Rabobank, Erviti of Caisse d'Epargne, and Riblon from AG2R. With 140 kilometers to ride, their gap was 3:50. At 95k to ride, the gap was 6:37. There are a lot of cycling fans who still believe in black and white. Some rider or another, they'll say, has never tested positive, or is the most tested athlete in the world. Team X, they'll say, has the strictest anti-doping program in the peloton. Sure, there used to be a lot of doping in the sport, they'll say, but no sport has such extensive athlete testing, and the sport today is clean. I've been following the sport for 25 years, through the mysterious deaths while riders slept, the 60 hematocrits, and now the biological passport, and I'm convinced the sport has never in that time approached clean. I don't believe in black and white. The way I've come to see modern cycling is that every rider exists in a Heisenberg bubble, balanced somewhere on a scale between pure as the driven snow white and Floyd Landis “hell yeah I doped” black. As a fan, we all calculate the likelihood a particular rider is juicing, and all most of us have to go on is the rider and his team's public pronouncements, and the rider's race performance. How much you like a rider has to be balanced against how likely you think it is a) that he or she has doped, and b) that he or she will get caught. This is why I and many others breathed a sigh of relief when Vinokourov lost the maglia rosa at the Giro. I believe Vino's failed dope test was accurate, and I fear he has likely returned to his previously successful ways. You, of course, may disagree, or feel just as fearful about Giro winner Ivan Basso, who was ultimately banned for his involvement in Operación Puerto, and now says he's gunning for a podium spot at the Tour. One of the things about the bubble is that every fan's is slightly different. Maybe you assume that everyone who came out of the sports mills of Eastern Europe is tainted. Maybe you believe that the recent popularity of Spain as a training center was a direct result of tighter French anti-doping laws. 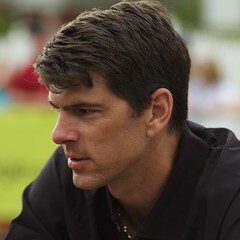 Occasionally, especially in the case of a superstar rider, there may be other information, from former teammates, employees, trainers, or other people in the rider's circle. In the absence of positive dope tests, which it still appears can be manipulated without a great deal of trouble, all we can do is take the data and put it together with our own prejudices and preferences to decide who we believe is clean and who's not. If an ex-teammate says you've doped, that moves you 3 spaces to the right. Coming out of nowhere to contend for the climber's jersey at the Tour? Move 10 spaces to the right. If you get caught, suspended, then come back as an anti-dope crusader, that might move you a space or two to the left. It's apparent that there's a continuing arms race in cycling, and the enforcers are losing. Like any arms race, the advantage goes to those with money and technology, and those belong to the teams. Far be it from me to identify where I think any particular rider falls on the 0-to-100 scale. Clearly, though, the recent Landis revelations, outlined in detail in the Wall Street Journal today, push Armstrong farther to the right, and at least nudge Zabriskie, Hincapie, and Leipheimer in that direction. Sure, it's easy to impeach Landis' credibility, but it's clear to me that Landis didn't come up with the sophisticated doping program he's described, and he's far from the first person to allege that Armstrong has relied on more than spring water in previous Tour wins. Let's run through the allegations in the WSJ article by Reed Albergotti and Vanessa O'Connell. First and foremost, there are dates and details of blood transfusions during the Tour de France itself in 2004, and a partial list of riders who received them, including Armstrong. Next most damaging is probably Landis' claim that Armstrong himself was the source of his first collection of testosterone patches. Finally, there is the allegation that as many as 60 team bikes were sold for cash to support the Postal doping program. For me, mentions of Armstrong's possible visits to strip bars and cocaine use are just distractions; my interest is in Armstrong as an athlete or a cheat. According to Albergotti and O'Connell, three other U.S. Postal riders confirmed doping while Armstrong rode for the team, and one admitted he himself doped. Looking through the article, though, I don't see anything that's going to change the mind of rabid Armstrong fans, or of people who have believed he's a doper since 1999. We already know of former teammates who have alleged doping, including Frankie Andreu, who admitted his own EPO use in 2006. The claim that team bikes were improperly sold to pay for the doping program can't be proven by the mere appearance of team bikes on eBay: Someone would have to connect their proceeds to a doping program to really make something of it. Otherwise, those frames could just as easily have gone toward Armstrong's Shiner Bock habit as toward dope. 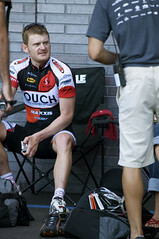 I can see no way to tie Armstrong to the foil-packeted testosterone Landis claims he was provided. But the addition of FDA special agent Jeff Novitzky adds a new dimension to the sport's doping problem. Teammates and staff who don't hesitate to cover for a rider with the media may feel differently when a federal agent starts threatening purgery charges and deploys subpoena powers. Novitzky seems unlikely to tolerate the shades of gray we as fans have grown to accept.